On a recent day trip to Eyam in the Derbyshire Peak District we came across a hidden gem in the form of Hassop Station near Bakewell. 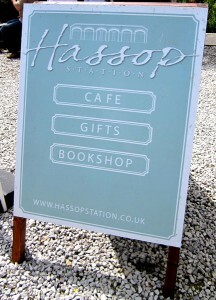 With a cafe, bookshop, gift shop, and cycle hire I couldn’t believe that we hadn’t found this wondrous place before. 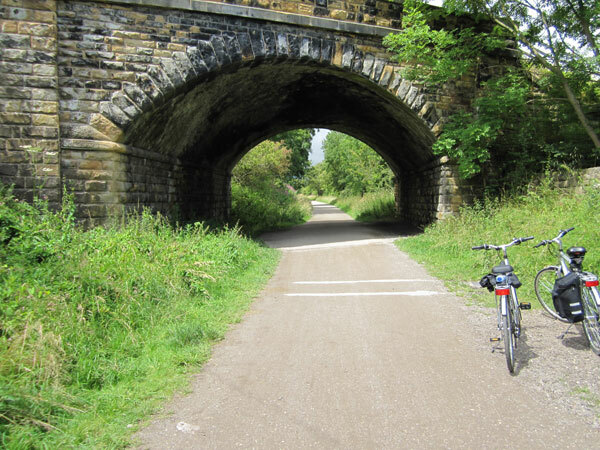 Situated on the side of the beautiful Monsal Trail (a walking, cycling and riding route) it makes the perfect pit-stop during the summer holidays. This area seems to be undergoing a period of change at present. 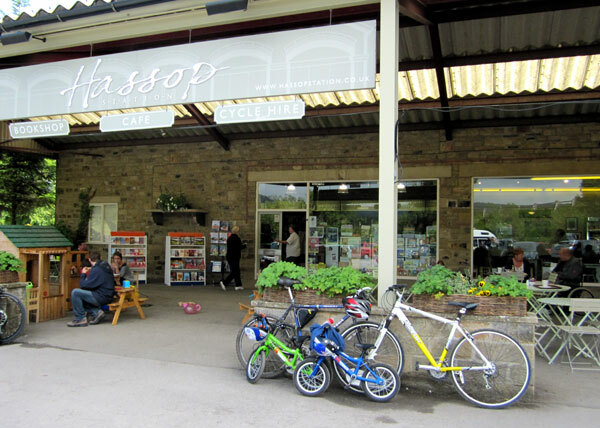 Hassop Station has only been open a year and the Monsal Trail has undergone safety renovations to it’s famous tunnels. These were officially opened in May 2011 and makes the whole trail far more user friendly (and interesting). We were rather more concerned with coffee and cake on this occasion. 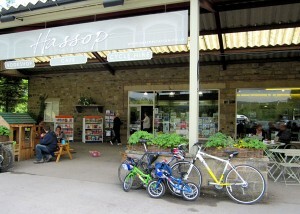 Hassop Station even has a play area for the kids, so all members of the family are equally happy. But if we had been feeling energetic we could have hired a bike or two, there were even electric bikes for hire (much more my speed). We finished our day with some of the yummiest ice-creams I’ve had since our last trip to Italy. 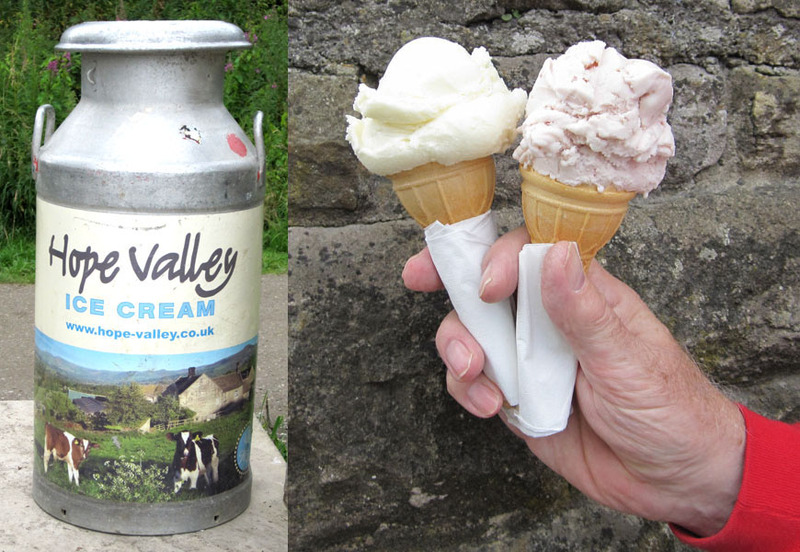 Hope Valley sell many gorgeous flavours, we tucked into Rosemary’s Raspberry Pavlova and Gertrude’s whisky and Ginger 🙂 A very successful and yummy day out! 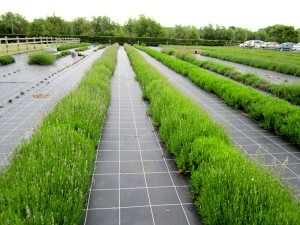 A couple of weeks ago Anne and I took a trip to a local Lavender farm called The Lavender Patch in Hilton, Derbyshire. 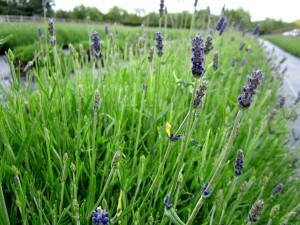 This is a pick your own lavender farm, but unfortunately it was a little early in the season for picking on this visit. I have to say I felt rather daft that I’d never noticed this wondrous place before. 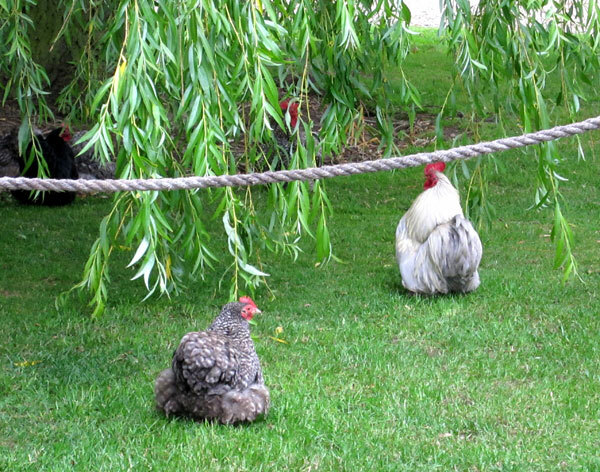 It’s part of Hall Croft Farm which also runs a 5 star B&B. I love lavender and we often use it in our products, so to think that all this time there was a local source of many varying varieties made me somewhat shame faced. The day we went was actually rather overcast, so I was very surprised when I walked into the cafe and it was jam packed full of customers. It seems that once you’ve visited, y ou don’t forget in a hurry and visitors are prepared to travel a distance for a cake. We had tea and cakes, huge cakes in fact that I ate too much of because they were just wonderful! I often whine at the state of shop/cafe bought cakes, they look fantastic but often don’t measure up to my expectations. But these were big, light and tasted homemade. I took my youngest son who was mesmerised by the chickens wondering about and he absolutely loved running up and down the aisles of lavender. 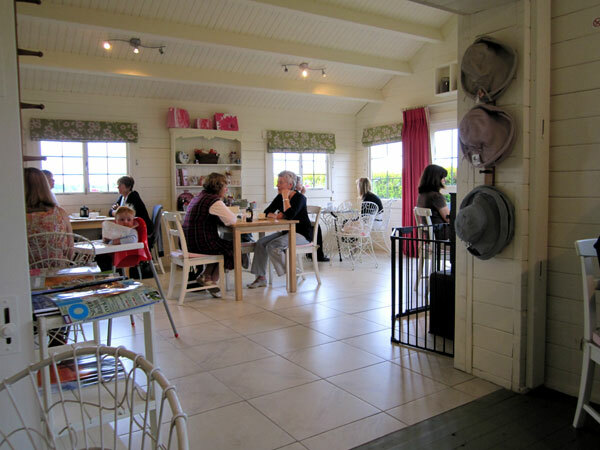 When I get the time one of my favourite indulgences is to stop in a gorgeous tea shop for a cake and a relax. 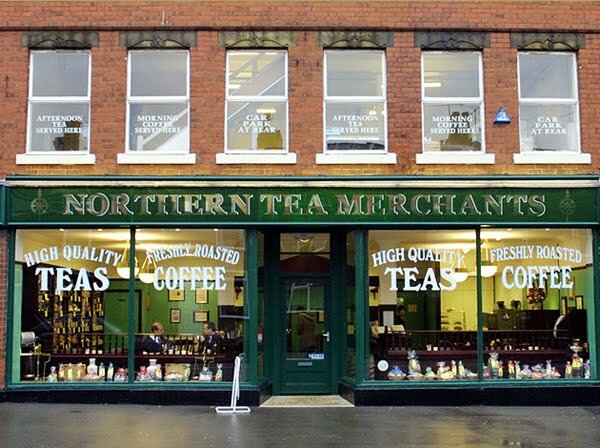 I was recently visiting one of our gallery stockists in Chesterfield when I noticed a cafe called the Northern Tea Merchants. 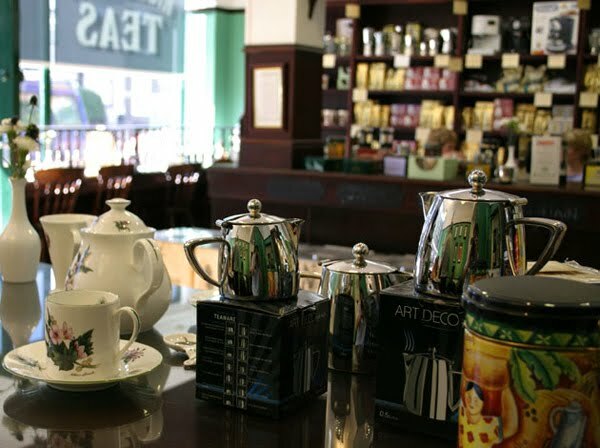 To say it’s a tea and coffee lovers paradise would be an understatement. The walls are adorned with quotations and the shelves are stacked with related delights to really wet your appetite. The smell of coffee beans wafts through the air and everything is beautifully packaged in gold. My tea was wonderful as was my slice of traditional victoria sponge. I will definitely be visiting again soon. 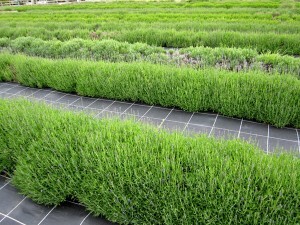 More information can be found on their website http://www.northern-tea.com. 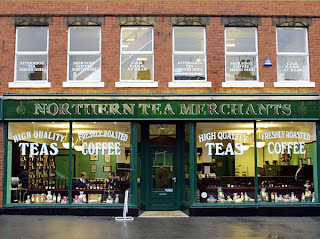 One of my all time favourite teashops used to be Greystone’s in Leek. Whenever I went there it felt like I’m walking into somebody’s front room for tea and cake. Of course this is probably due to the fact that the room used to be the front room of a 17th century building. The owners have now taken semi retirement and no longer serve tea in their front room at Greystone’s. Fortunately they have taken on a new 16th century building called Time For Tea in the centre of Leek. The new cafe also serves as a showroom for one of the owners Roger, who repairs antique clocks. In good weather there is a small walled garden to sit in, otherwise there are two beautiful rooms where you can relax. If customers are interested in the history of the cafe there is a file all about the Parker family who originally built the building. The son Thomas Parker was born in the building in 1666 and in 1718 he became Lord Chancellor of Great Britain. He was also a poll-bearer at the funeral of Sir Isaac Newton. Like the Northern Tea Company the tea here is made with tea leaves (not bags) and there are several varieties to choose from. For me though it is the cakes that stand out, I think they are the best I have tasted anywhere. If you’re in the area I fully recommend a visit to either of these teashops.